When companies are threatened by employment-related claims, they turn to Ryan T. Warden. Clients trust Ryan to develop effective strategies to pursue the best course for each case, all within the framework of the clients’ objectives. Ryan represents a broad range of clients across many industries in defending the full spectrum of employment-related claims, including those related to wage and hour laws, discrimination, retaliation, and harassment. He has devoted a significant part of his practice to defending wage and hour law claims, including class, collective, and single plaintiff actions. Ryan also has substantial experience defending investigations by state and federal departments of labor. As a result, Ryan has become known for his industry-leading insights on this particular area and is frequently invited to lecture on wage and hour issues. 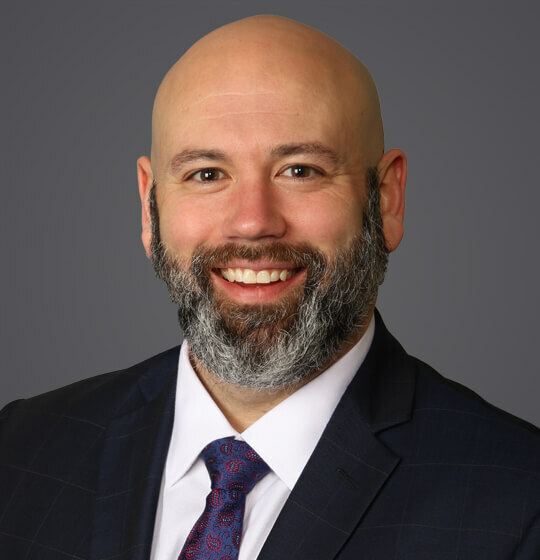 In addition to his litigation and government investigations practices, Ryan frequently counsels clients on employment law issues and assists them in developing compliant policies and procedures to ensure compliance under federal and state employment laws. Obtained complete dismissal on behalf of employers in a wide array of industries against claims of discrimination, harassment and retaliation, as well as claims asserting violations of state and federal wage and hour laws, before both state and federal courts. Successfully represented clients in various industries in connection with investigations/audits by the United States Department of Labor and the New Jersey Department of Labor. Obtained complete dismissal of wage collection actions brought by former employees before the New Jersey Department of Labor. Obtained Third Circuit affirmance of summary judgment on behalf of global manufacturer of electronic components against claims of retaliation in violation of the Sarbanes-Oxley Act of 2002. Obtained complete dismissal of numerous EEOC charges and state fair employment agency complaints, in various jurisdictions. Conducted and/or directed internal investigations of complaints of harassment and discrimination, pre- and post-litigation. Successfully represented clients in private sector employment arbitrations. Obtained summary judgment dismissing workplace injury claims on behalf of large manufacturing client. Successfully enforced and defended non-competition and nondisclosure agreements in courts throughout the country, and obtained such relief on an emergent basis. Led internal audits of clients’ HR policies and procedures. Partnered with clients to develop compliant compensation practices and employment policies. *No aspect of this communication has been approved by the Supreme Court of New Jersey. For methodology for selection for one of the honors above, please click on the following link. On January 29, 2019, the Third Circuit Court of Appeals concluded that the Federal Aviation Administration Authorization Act of 1994 (FAAAA) does not preempt New Jersey’s ABC test for determining whether a worker is an independent contractor or employee. On March 19, 2015, the New Jersey State Assembly Labor Committee approved a bill (A3912) that would allow New Jersey counties and municipalities to set a minimum wage for private sector employees within their borders at an amount higher than the state’s minimum wage. To become law, the bill must still be approved by the full state Senate and Assembly, as well as the governor. On March 6, 2015, the City of Trenton entered into an agreement with six New Jersey business associations to suspend enforcement of its paid sick leave ordinance pending an April 9 court hearing on the business associations’ application for a preliminary injunction. Trenton’s sick leave ordinance, passed by voter referendum late last year, was scheduled to take effect on March 4, 2015. A bill to regulate ride-sharing service companies (known as “transportation network companies”), such as Uber and Lyft, is making its way through the state legislature (A3765/S2742). Earlier versions of the bill clearly stated that drivers providing services on behalf of such transportation network companies would not be considered employees, consistent with the position of the companies that drivers are independent contractors. New Jersey employers with mandatory arbitration provisions seeking to compel the arbitration of employment disputes with their employees would be well-served to reexamine such provisions in light of recent decisions by New Jersey appellate courts.